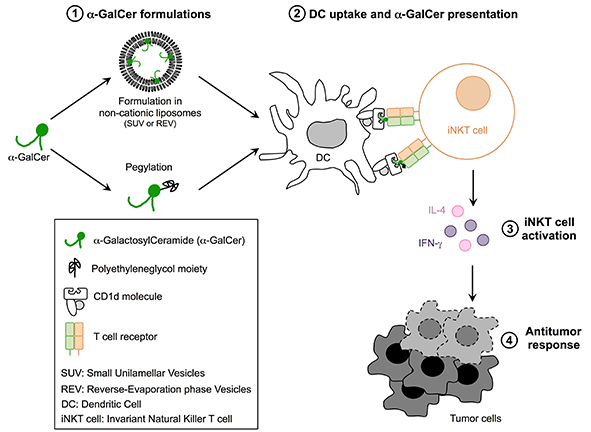 The potent antitumor effect of α-galactosylceramide (α-GalCer) is based on its recognition by invariant Natural Killer T cells (iNKT) after its capture and presentation by antigen presenting cells including dendritic cells (DCs). Synthetic α-GalCer has already been tested in advanced cancer patients but no or only moderate clinical responses were obtained. To optimize α-GalCer efficacy, we have postulated that alternative formulations impacting its molecular organization in aqueous medium could modify DC uptake and iNKT-based immune responses. To this end, we have developed two strategies: (1) the formulation of α-GalCer in non-cationic liposomes and (2) the synthesis of a water-soluble α-GalCer analogue by anchoring a polyethyleneglycol moiety on its sugar head. 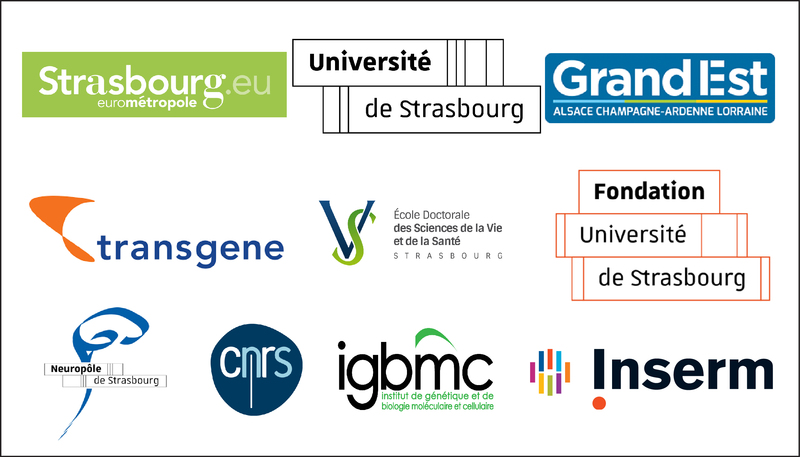 The biological activities of these new preparations were compared to that induced by the classically used Polysorbate 20 α-GalCer micelles. Both formulations retained their uptake by DCs and activated iNKT cells both in vitro and in vivo. Despite a lower cytokine production, the formulations induced a potent immune response able to control lung murine carcinoma. In conclusion, it is possible to increase α-GalCer solubility in aqueous solution without limiting its antitumor properties. Macho-Fernandez et al. (2017) International Journal of Pharmaceutics, in press.